← March Madness Super-Team Showdown Championship Match — Vote Now! March Madness Super-Team Showdown Championship Winner Announced! It was a “chalk” tournament for sure, with the Fantastic Four running the table from the #1 seed. The Uncanny X-Men gave the FF a scare in the semis, but the Finals were all for the Four, as Reed, Ben, Sue, and Johnny dispatched the Avengers 60/40. 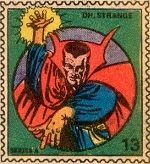 So hail to the victors, and thanks to everyone who participated in the tournament this month at Longbox Graveyard. I was especially impressed with the quality of the comments and the degree of care so many of you invested in your votes. The Real World can be brutal, sometimes, and it is nice to know we can all still come together for a good, old-fashioned Geek Fight. Three out of four of those selections are directly tied in with the Fantastic Four, and all of them are the creation or co-creation of Jack Kirby, so I guess we should have seen this result coming! It’s Jack’s world, the rest of us just live in it. Thanks again for your vote, and please leave your parting thoughts about our tournament in the comments section below. I will see you here again next March, when we match off some damn thing or another (give me your tournament ideas), and I think I may hold a monster tournament in October, too. 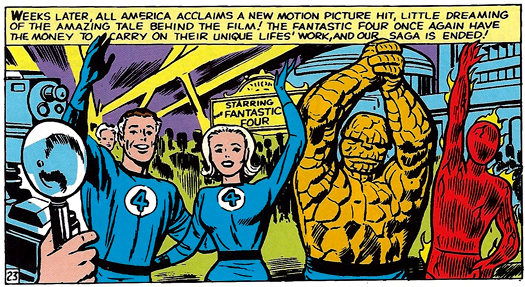 But for now — let’s hear it for the Fantastic Four! Oh, and join me this Wednesday for the kickoff of a whole new format here at Longbox Graveyard … Marvel 1977! Posted on April 2, 2018, in March Madness!. Bookmark the permalink. 19 Comments. Huh. Well good for them, truly. No sour grapes here, they deserve it after the tough number of years they’ve had at the company they helped build and carry on their mighty shoulders for a good number of years. If the love showed to them here would translate to actual sales, not even Ike the mutt would be able to sideline them for as long as he did. And yes, they did suffer poor sales, no matter how well-beloved, but then so have a number of their franchise players. Honestly if it wasn’t for that “excuse”, and the fact that Fox owned the movie rights (another egregious offense of an excuse) there might not have been the unfortunate pause in FF publication. Regardless, the FF won, and I’m sure the King would be proud that one of his oldest, and more famous of his Marvel works is still as beloved as they are today. I admit this result makes me feel a little warm inside. I’m more of an Avengers fan, for sure, but its not like those guys need any more accolades! 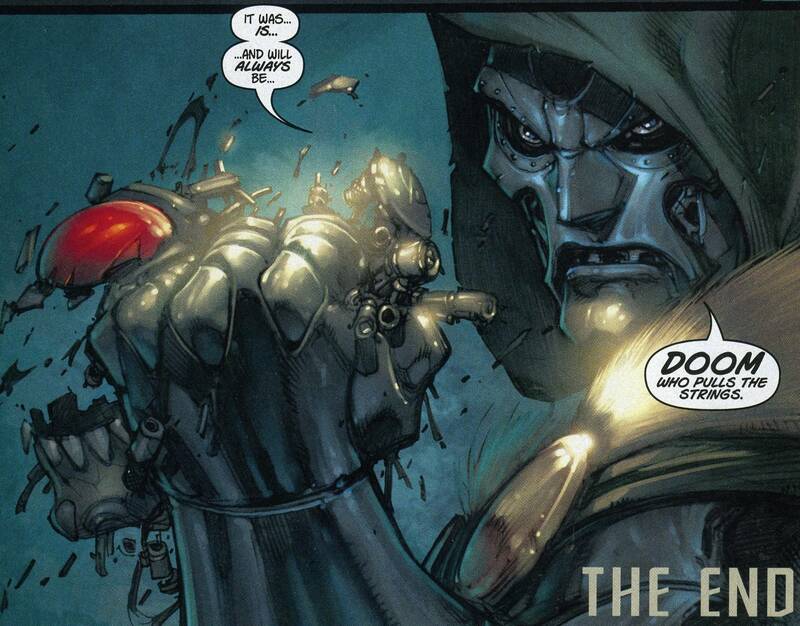 Doom, of course, takes full credit for this outcome. It’s all part of some master plan, I am sure. I was thinking the same thing… at almost the same time. I like this narrative, it fits Doom and it fits past March Madness contests here at Longbox Graveyard. 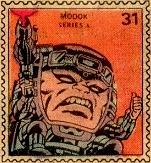 (Doom beat Galactus in our super-villain tournament a couple years ago). But of course he would. ha ha. True ’nuff. I agree: all who are going against the FF are doomed. Because, you know… it’s clobbering time! 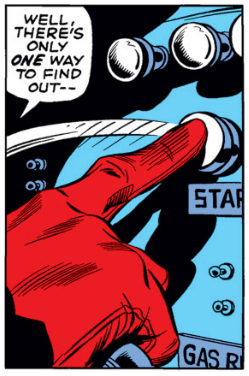 The Four were massively outnumbered, even considering Reed’s genius at whipping up any magical science device a threat requires, Sue’s goddess-level powers to create and manipulate force fields, Ben’s massive muscles, and Johnny’s ability to “go nova”. Even throwing in former members She-Hulk, Spider-man, and Crystal, Marvel’s first family might have required Franklin’s reality-warping powers to topple the Earth’s Mightiest Heroes. But I’m thinking the Four went even further. They got their hands on the Ultimate Nullifier and totally toasted the Avengers. Sadly, due to Reed and Sue’s former Avengers’ membership, the Nullifier nullified them, too. Nullification was a suicide play that left only Torch and Thing standing, and just barely. As the dust settled, an armored figure emerged from the shadows. ^This. Seriously Cap’s a true master strategist who, along the Vision (who’s a literal computer) and Tony, would’ve known how to counter Reed, and Thor’s stronger than Thing, even when he was amped up into his spikey pineapple form, Still, votes are votes. Your reasoning is flawed because you don’t factor in the KIRBY EFFECT! No matter the level of threat, the number of opponents or how many times you try, the FF would overcome anything you throw at them because the King of Comics would figure how to win each time. You do know denial’s not just a river in Egypt right? And who said anything about Kirby writing this fight between the two? Cap’s record speaks for itself. Ben would stun him just by clapping his hand! Stretcho would wrap him up in half the time I needed to type this! Johnny would barbecue him in half the time Stretcho needed! Sue wouldn’t even need to raise a finger! … and the Fantastic Four is your greatest creation! While I’m thrilled that the FF won, I really think it was a case of absence making the heart grow fonder. I think the FF not being published for years really made people realize how much they liked these characters and how much of a key role they played in the Marvel Universe. You don’t always have to be Mr. Right. Sometimes it is enough to be Mr. Right NOW. Rightly said… It’s exactly how I feel NOW with the FF victory!